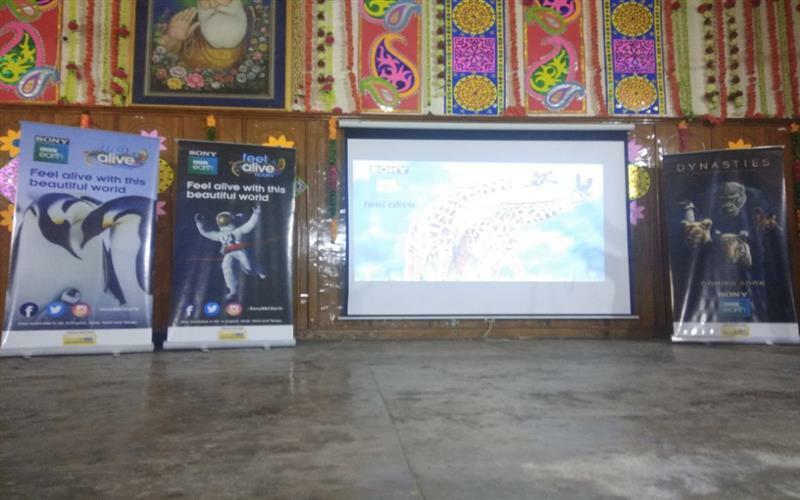 Sony's BBC EARTH.....FEEL ALIVE workshop was organised for the students of classes 7th and 8th. It was an attempt in making them feel alive with Science, Nature and Adventure stories. Students were shown informative videos about Science and Adventure. They were familiarized with the concept of pressure, law of inertia and building a terrarium with live experiments. 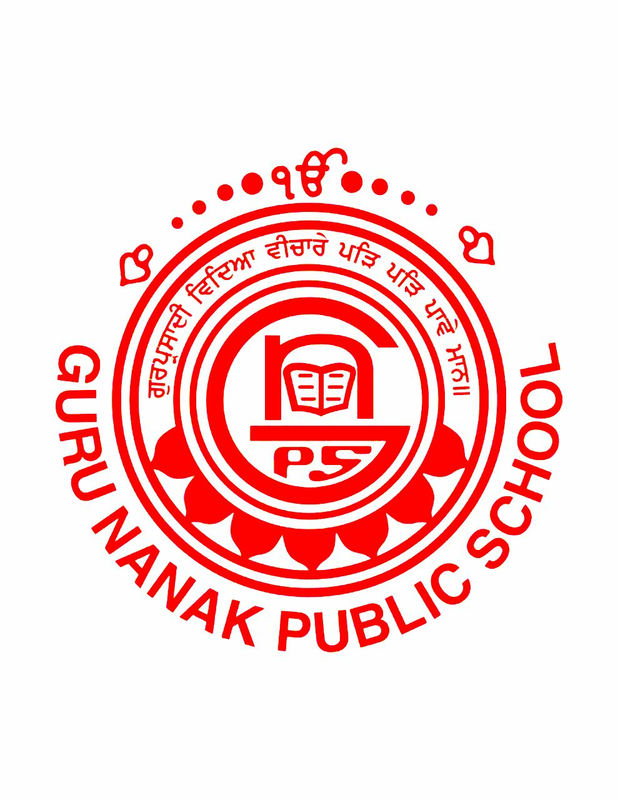 It was followed by a Grand Quiz and Jasmeet Kaur of class 8C was declared the winner. 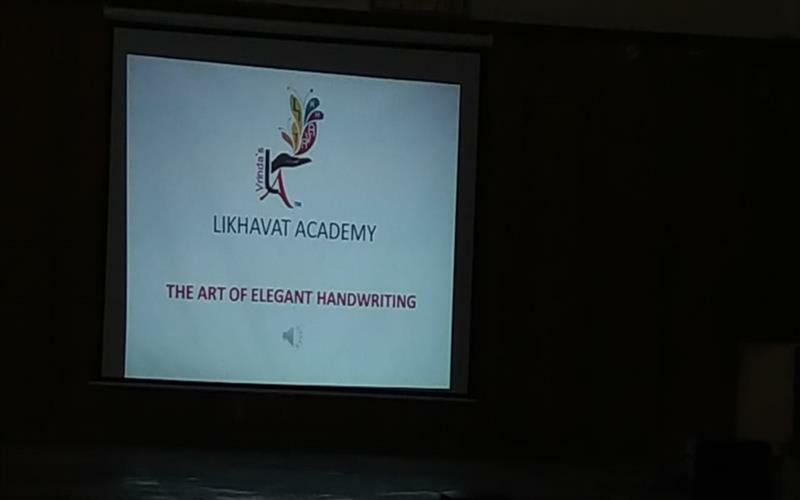 On 13th Oct. 2018, Saturday, Likhavat Academy conducted an interactive session for parents & students on good handwriting.. Principal Mrs Reema Punj invited the director of Likhavat Academy, Mrs Nidhi Gupta to interact with parents on the importance of good handwriting and how they can help to improve their child’s/children's handwriting. 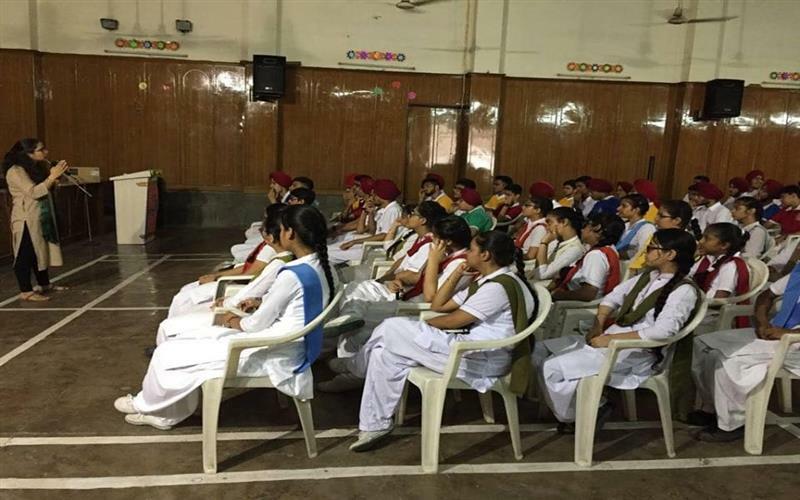 The session was conducted under the supervision of Headmistress Mrs Kanwaljit Kaur and Supervisor Mrs Dimple Popli. Mrs Gupta highlighted and explained some important points: a) Sitting Posture b) Pencil/pen holding c) Choice of pencil/pen d) Speed writing e) Special care for left handed children Parents took keen interest in the session and their queries were promptly answered. Blue Air Champions, in association with Times of India, conducted a workshop today to spread awareness about the menace of air pollution.Students were shown a documentary followed by a quiz prog. Congratulations to the winners of the quiz contest : Trilochan Singh VI B Avneet Singh VII A Ashmeet Kaur VII A Simarpreet Singh VII B Jaideep Singh VII C Manak Singh VII D Lavanya Singh VII D students from classes V - XII can participate in the Blue Air Champions Contest by logging on to www.blueairchampions.com and win prizes. 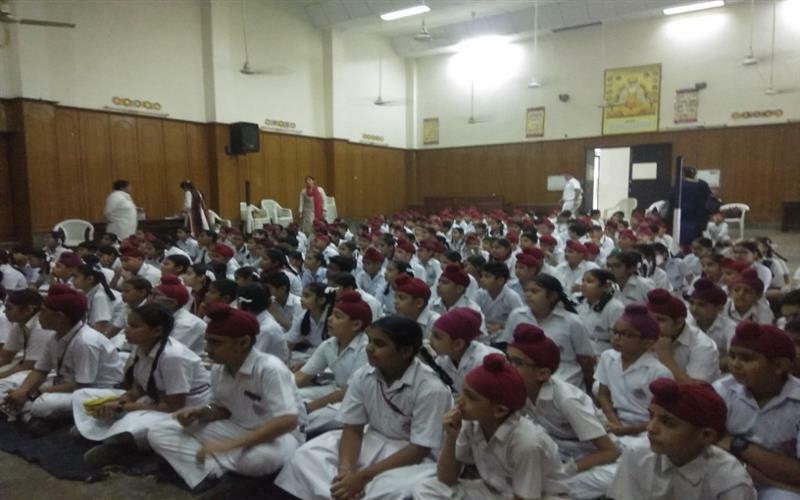 A workshop on "bullying and anger management" was organised today for the students of class 7 to make them understand why bullying prevention is important .They were apprised of the steps they can take to reduce bullying .The main aim of this workshop was to create harmony and healthy relationship among students. It supported the theme : "The end of bullying begins with me "
"Gone are the days when becoming a doctor, an engineer, a teacher, or a chartered accountant were the only ambitions people had. Gone are the days when only conventional academic courses and careers were revered and unconventional courses and careers were looked upon with a sneer." In our continuous pursuit of keeping our children abreast with the various career options, A workshop on 'Law as a career' was organised today for the students of classes 11th & 12th with a special focus on the myths that float in society regarding law as career option and dispelling those doubts and myths by providing credible information. Students' queries were promptly answered. 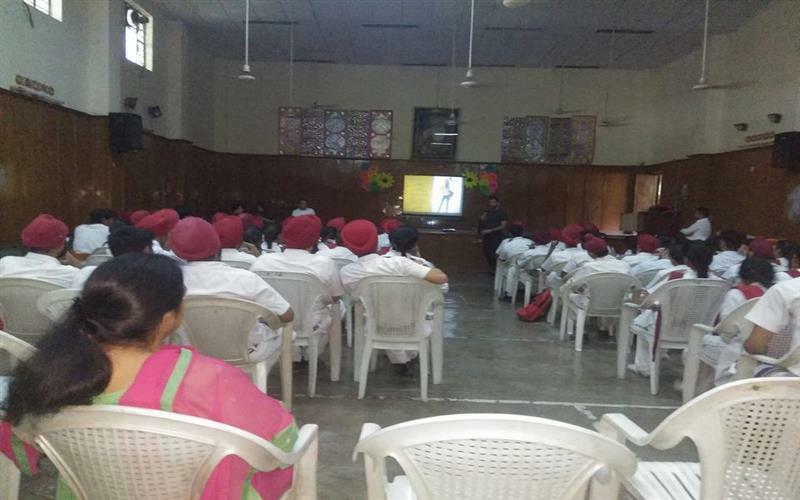 A counselling session on adolescent concerns was held today for the students of class VIII A & B. 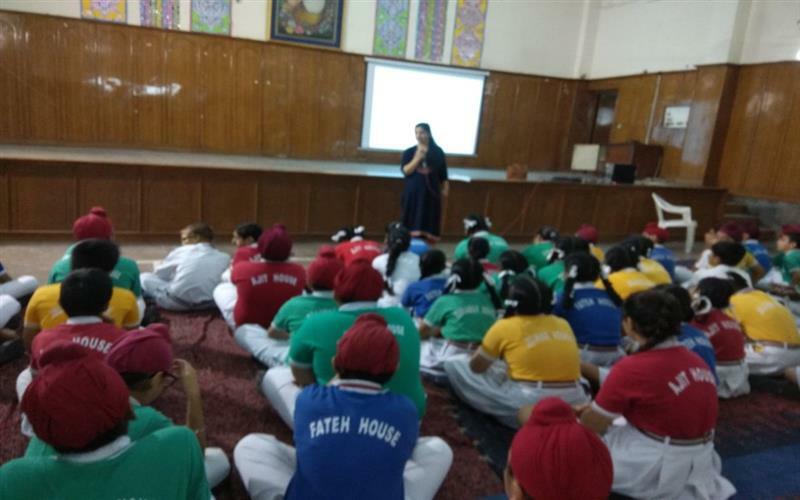 Principal Mrs Reema Punj talked about Cybercrime and bullying and exhorted students to refrain from using abusive language, passing indecent remarks, social media & mobile phones. She apprised them of the repurcussions it can have on their life. Mrs Dimple Popli also talked about Aggression and sensitised them about positive & negative emotions and techniques to control negative emotions, especially Anger. She suggested some useful exercises. Students took a pledge that they will not bully anyone, nor would they hit or abuse !! A career counseling workshop was organised for our class 12 students in association with Visa House. 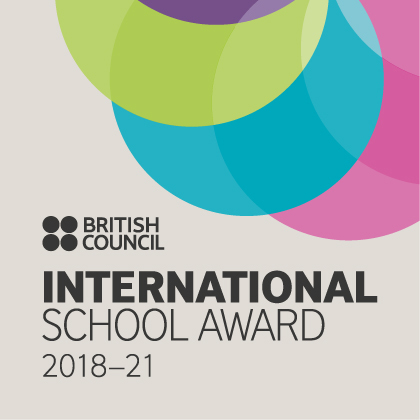 Jyoti Aggarwal and Ajay Aggarwal, the directors of the organisation along with their team provided career guidance and awareness about overseas education system. They guided students as to how to make informed subject and University selection, profile building, SOP (statement of purpose) & ESSAY which is specially helpful while seeking admission to Universities in US. 4students from our school.. Sartaj Kapoor-9B, Ashmeet Kaur 9C, Jasmehak Kaur 11C & Harshpreet Kaur - 11A Attended Prosocial Peer Moderator Program on Gender sensitisation at Fortis. They were sensitised about deep rooted gender disparities and negative gender stereotyping which is reflected in our day to day lives. Gender sensitisation seeks to question and aims to develop a sense of empathy and acceptance towards the other gender. A gender sensitised person makes a conscious effort to make environment favourable. A workshop on Nutrition, balanced and healthy diet was organised today for the students of class 3. 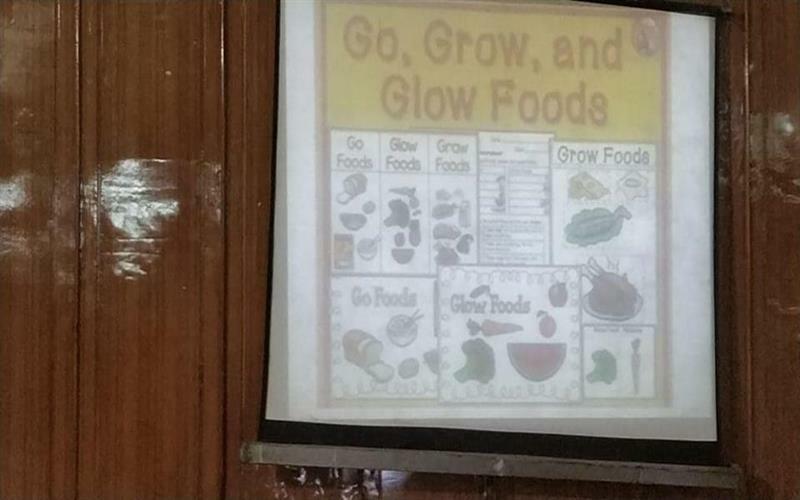 Students were sensitised about Balanced diet , Healthy food alternatives for packed lunch and Importance of colors of food ,Specific nutrients in fruits & vegetables. Career building is a continuous process and in this era of cut throat competition and a gamut of career options to choose from, young children are often confused what to choose. To help them out a Career Counseling workshop was organised for the students of class 11wherein they were provided with relevant information. 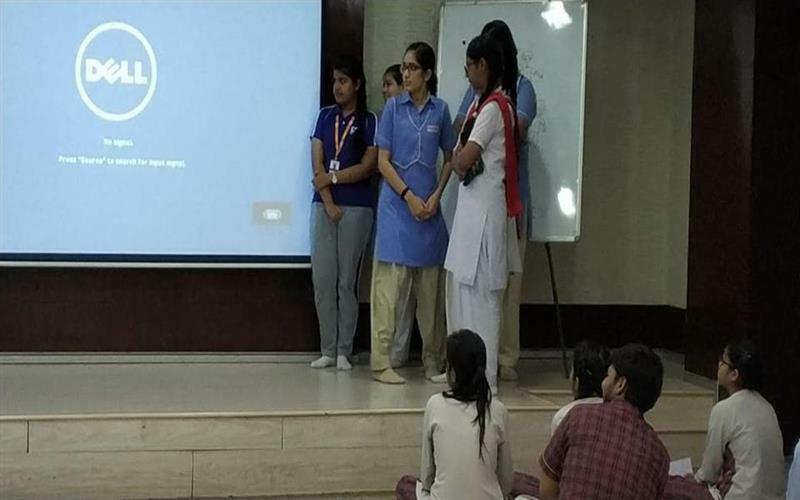 Admission in Canada and New Zealand Universities A career counseling workshop was organised for the students of class 12 where in they were guided about the admission process in case they want to opt for studies in the universities in New Zealand and Canada. The organisation. Indo-Pacific Education Services - provides a platform to students where they get free assistance regarding admission process.